Registration is now in progress at Glen Oaks Community College for the Fall Semester which begins Monday, August 30. The Glen Oaks Student Services and Counseling offices are currently open Monday and Thursday, 7:00 a.m. to 5:00 p.m. and Tuesday and Wednesday, 7:00 a.m. to 6:30 p.m. (The College is closed Fridays, August 6 and 13). After August 13 regular office hours are Monday, Thursday and Friday, 8:00 a.m. to 4:00 p.m., and Tuesday and Wednesday, 8:00 a.m. to 6:30 p.m.
Class schedules are available at the college, online at www.glenoaks.edu, or they can be mailed upon request. Counselors are on hand to meet with those interested in discussing classes or courses leading to Associate Degree Transfer Programs, Occupational Associate Degrees and a variety of Certificate Programs. In addition, online classes are offered through the Distance Learning Center, as well as shorter business/computer education courses. Fall Semester classes end on Friday, December 17, 2010. There are no classes on Labor Day, Monday, September 6, Fall Break Day, Tuesday, October 12, and the college is closed during Thanksgiving break, November 24-26, 2010. 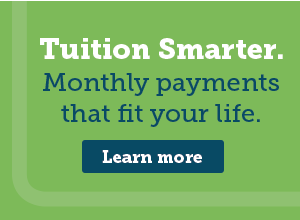 Tuition and fees are due upon registration. Financial aid and scholarships may also be available for those who qualify. Phone 467-9945 or (888) 994-7818.